What do you make of super fight betweeen WBA middleweight Gennady Golovkin and five-division world titlist Floyd Mayweather? Golovkin defended his title this weekend on HBO, hammering out a sixth round TKO over a very game Willie Monroe Jr. inside of The Forum in Inglewood, Calif.
Two weeks prior it was Mayweather grabbing victory number 48, as he soundly defeated Manny Pacquiao inside of the MGM Grand in Las Vegas. A fight between Mayweather and Golovkin is a fascinating clash of styles and so far the opinions on the matchup have been mixed. 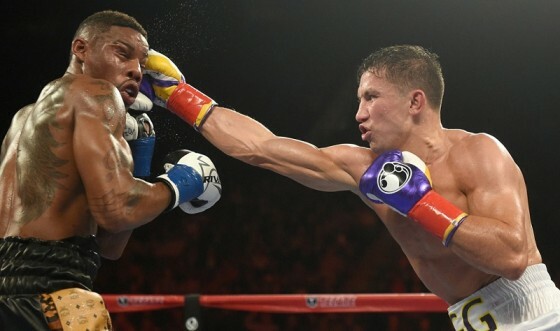 Some favor Golovkin’s size and pressure, as the Kazakhstan star resides in the 160-pound division while Mayweather typically fights at 147 pounds and would have to move up a division to meet “GGG” in the middle. A recent conversation with junior middleweight veteran Will “Simply Amazing” Clemons shed some light into the possible duel and the Ohio native has an interesting view of things. Check the video below for all of Clemons’ thoughts, including the possibility of Golovkin vs. Canelo Alvarez and the best of the super middleweight class.